1. Glue stirrer 1150KG: triple layers machine *1, five layers machine *1, seven layers machine *2. 2. Glue tank 600 KG: five layers machine *1, seven layers machine*1. 3. 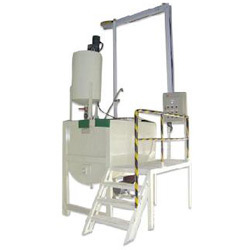 Glue tank 200 KG: single layer machine *1, triple layers machine *2, five layers machine *3, seven layers machine *4. 4. 1HP Glue pump: single layer machine*1, triple layers machine *2, five layers machine *3, seven layers machine *4. 5. 5HP Glue pump: triple layers machine *1, five layers machine *1, seven layers machine *2.